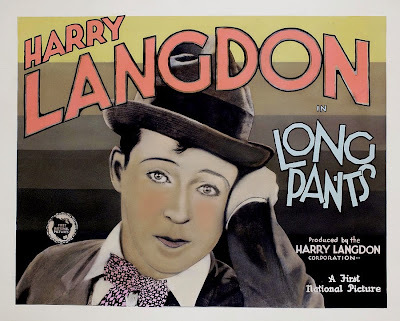 Harry Langdon in 'Long Pants' (1927), to be screened on Sunday, March 30 at 4:30 p.m. at the Wilton (N.H.) Town Hall Theatre. Just a brief post to highlight an unusual film this weekend that I think is worth checking out. On Sunday, March 30, we'll be showing 'Long Pants' (1927), a rarely screened feature-length silent comedy starring Harry Langdon. The show is at 4:30 p.m. at the Wilton Town Hall Theatre in Wilton, N.H. Admission is free, although we encourage a donation of $5 to help defray expenses. Who was Harry Langdon? He was a middle-aged vaudevillian who quickly shot to movie comedy fame in the last years of the silent era, that's who. How popular was he? In a word, huge. For a time, he was regarded as Chaplin's only serious rival in motion pictures. His character, a baby-faced innocent man-child making his way in the sophisticated 1920s, struck a chord that really resonated at the time. His films, with stories created by a team that included a young Frank Capra, were big hits. And yet as rapidly as Langdon's star rose, it fell just as fast. By the end of the silent era, Langdon was yesterday's leftovers. For audiences who are new to Langdon, the point I try to make is that his comedy exists primarily in reaction to so much that was typical of silent film comedy. And in 'Long Pants,' things are especially strange in that Harry, an obviously middle-aged man, plays the role of a teenage boy coming of age. I've done the film once before, about three years ago, and it got a surprisingly strong reaction from a small audience in which no one had ever heard of Langdon before. So I'm interested in seeing what kind of reaction 'Long Pants' produces on Sunday afternoon in Wilton, where we often get sizable crowds. (Plus, the weather is looking gloomy for this Sunday, which often boosts attendance at our screenings.) Come on and be a part of the experiment. And because the film is only about an hour long, I'll run some unusual silent comedy shorts prior to the main event. Hope you can join us! 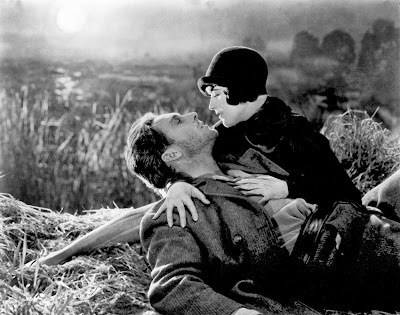 See 'The Wind' (1928) on Thursday, March 27 at 7 p.m. at Keene State College in Keene, N.H. 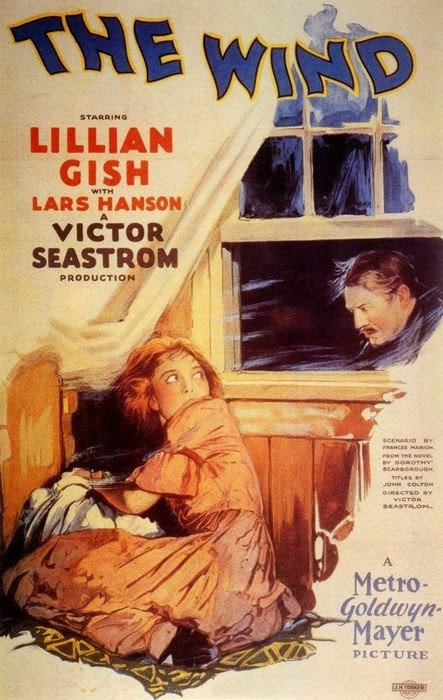 This Lillian Gish classic will be bookended by screenings of two Harry Langdon films: 'The Strong Man' (1926) on Wednesday, March 26 at 7 p.m. at Merrimack College in North Andover, Mass., and then the rarely screened 'Long Pants' (1927) on Sunday, March 30 at 4:30 p.m. at the Wilton Town Hall Theatre in Wilton, N.H. Right now, I'm in the post-tour let-down period following appearances in the past month at the Kansas Silent Film Festival in Topeka, Kansas and then Cinefest in Syracuse, N.Y. In recent years, these two back-to-back festivals have served as the annual climax of my accompaniment calendar. It's a lot of film to accompany, and now that's it's over, I kinda feel like smoking a cigarette. 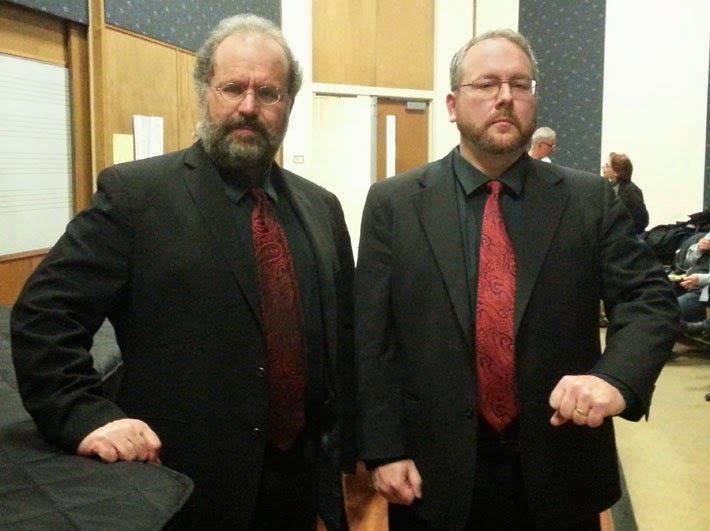 Accompanist Rodney Sauer and I showed up at the Kansas Silent Film Festival in nearly identical performing garb, with me furthering the illusion with eyewear borrowed from festival director Bill Shaffer. These festivals cut both ways. Because I get to hear other accompanists, see films that are new to me, and interact with a lot of people, they inspire me to want to improve my craft. But the stress of performing in unfamiliar places, and sometimes to films that I've never seen (five different features at Cinefest! ), wears me out for a time. The four accompanists at Cinefest 2014: me, Makia Matsumura, Judy Rosenberg, and Jon Mirsalis. Thanks for the photo, Makia! The calendar beckons, however, with places to go and shows to do, and silent films to help bring to life for today's audiences. And so I soldier on, having already done music for 'The Lost World' (1925) this past Thursday at the Flying Monkey Moviehouse and Performance Center in Plymouth, N.H. And now these three upcoming shows to finish out the month. Coming out of this period, I feel the need to do fewer screenings, and work a bit more on material for screenings that I do commit to. Until now, I wanted to do as many shows as possible, if only so the feel of performing live would become second nature, and to get experience winging it if I had to. Okay, so I'm not always relaxed and in control at the keyboard. I think I've gotten where I want to in that area. Now the challenge, I believe, is to work at further forging my own personal musical language for silent film accompaniment, which has developed somewhat but has a long way to go. The main way to do that, I sense, is by taking time to work up consciously new material even for films I've done many times before. Less winging it, more careful preparation prior to sitting down on the bench, even though I'll still be mostly improvising during the actual screening. In the coming months, I'd like to develop a suite of melodic material built on elements that I'm attracted to: the call of the sharped fourth or the flatted seventh is beckoning. And I'd like to get better at producing material on demand that reflects this language. Plus I might acquire a real piano to replace the spinet I've been pounding for well nigh 40 years now. And the Korg synth and speakers are showing their age, too. We'll see about upgrading them as well. Lots to do, but the main thing is—fewer gigs, and a little more time spent preparing for each. I'm really looking forward to it! 'Saturday Night' (1922), shown on Thursday morning, was the opening silent at this year's Cinefest. I've just come back from Cinefest in Syracuse. And although I didn't fly, boy are my arms tired! Well, not really, even though I accompanied six feature films in four days. I just couldn't resist the chance to give new life to humor from another era. And that captures the spirit of Cinefest, I think: giving life (on screen, anyway) to older motion pictures that otherwise aren't screened anywhere. By "older," I mean features and short films from the silent and early talkie era, up until about World War II. Some are surprisingly compelling. Others turn out to be real turkeys. But all get a chance to live again, shown as they were intended: on a big screen, with an attentive audience, and with live music for the silent films. The more I think about it, the more important I realize such events are in terms of understanding the impact that early motion pictures had on the culture of their era. Much of their energy and excitement comes from the effect they produced on an audience, and the people who created them had this in mind all along. They were never intended to be consumed in private or in solitude, either on a screen in someone's basement or, God help us, on a cell phone. So the chance to see older pictures, good or bad, with an audience, can be a revelation in that a key element of their original power is restored. To see any motion picture from before World War II without an audience is like standing outside the Louvre Museum in Paris and saying you've experienced the Mona Lisa. This year's Cinefest, which ran from Thursday, March 13 through Sunday, March 16, 2014, offered a wonderfully mixed grabbag of titles, including a group of a half-dozen Fox talkies from the early 1930s and a bigger-than-normal proportion of silent films. In fact, the silent schedule was heavy enough for this year's Cinefest to have four accompanists on hand to supply music, rather than the usual three. And that was good news for me, because one of the big attractions of Cinefest is the chance to hear other accompanists ply the trade in live performance for a lot of different films. This year, my colleagues were Makia Matusmura, a highly regarded New York-based accompanist whom I'd never had the chance to hear before; Judy Rosenberg, a wonderful accompanist from San Francisco whose recorded work I've long admired but whom I also hadn't heard in live performance; and the great Jon Mirsalis, also from the San Francisco area, whose style and approach I think makes him one of the most effective accompanists in the field. All three turned in multiple memorable performances—in fact, there was so much music and so many movies, at this point I would be hard-pressed single out one moment over another. There was also a richness to the accompaniment in that everyone was able to adapt quite readily to all the different styles and genres of the many silents on the program. Even accompanist Ben Model was on hand for his "undercranking" presentation, and sat in to play for many of the comedy short subject programs, so I got to hear him in action as well. Five accompanists in one spot must be some kind of record. I always learn so much, I think, from hearing what other accompanists do and now they approach the task. It's one of the great pleasures of being part of Cinefest these past three years. 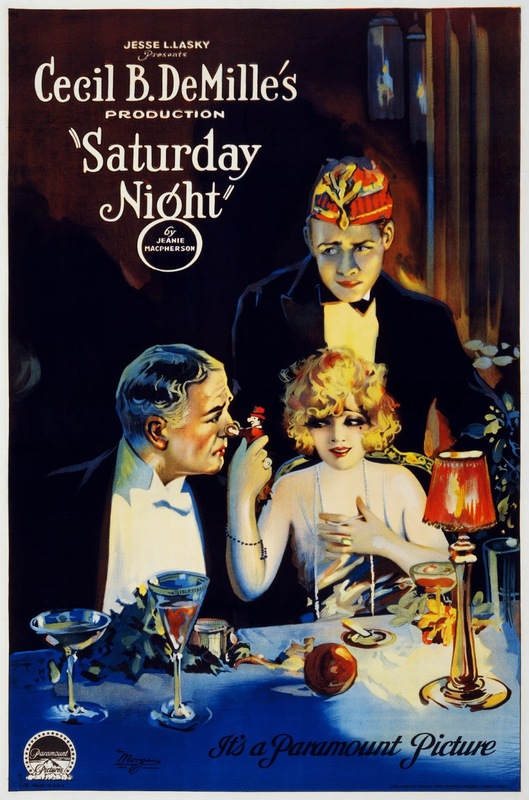 • Thursday, March 13: 'Saturday Night' (1922): The very first silent feature of this year's Cinefest was this Cecil B. DeMille society comedy/drama that went pretty well. I had good material to accompany the constrasting worlds of the upper and lower class characters, and the story flowed quite naturally, so the music stayed on target, I thought. The best thing about it was that you could see the comedy scenes coming from a mile away, so I was able to get music under them that was pretty effective, I thought. It wasn't hard to capture even small details, such as how the elevated train ran right outside a tenement flat. • Thursday, March 13: 'Fanchon, the Cricket' (1915): This recently restored early Mary Pickford feature was another effort that held together well, I thought. Unusual in that it was set in a kind of medieval fantasy world, which I tried to match with a light "music box" style of accompaniment that seemed to do the trick.Kind of a weak film in that I found it hard to find much to be sympathetic about in Mary's character or situation, but I did my best to "cast a spell" and help put the film over. • Friday, March 14: 'For the Defense' (1916): This early Paramount drama was perhaps my favorite of those I accompanied, in that it was totally unknown to me, but somehow I felt in synch with it right from the start. The material I chose seemed to fit well, I could follow the story with ease, and I paced it right so that the last 20 minutes of the film seemed to be very effective. No less a person than film preservation guru David Shepard said I did a good job "heightening the dramatic tension" of the film's climax. High praise indeed! It also won the award for the best intertitle of the festival: "I have to tell you ..... I murdered a man.... and I love you." • Sunday, March 16: 'The Devil Horse' (1926): I considered this action-packed Western drama starring Rex the Wonder Horse my grand finale, and so got permission to hook up the digital synthesizer and speakers to go all out. Everyone seemed really impressed, if only because the palette of the full orchestra (including big percussion, appropriate for a horse opera full of scenes of "injuns" on the warpath) was undoubtedly a constrast to the piano texture that is otherwise the soundtrack for silents at Cinefest. However, like 'The Live Wire,' I felt out of synch with this one as well, and found myself playing too much too soon. All went okay, however, despite a blown projection bulb during the climactic battle to save the fort. I pushed forward in the darkness, playing underscoring that vamped us until the movie started up again—now tinted pink because the new bulb hadn't warmed up yet! What did I learn? Take your time. Resist the temptation to overplay. And don't drink wine prior to accompanying. A continuous line of melody can be better than abrupt transitions. Matching the right material is important, so don't be afraid to abandon music that's not working and go with something else. Avoid AUI, or Accompanying Under the Influence. Cinefest follows a pattern of inviting accompanists for a three-year commitment on a rotating basis. And because this was my third year, 'The Devil Horse' really was the grand finale of my involvement for now, at least as an accompanist. It's been a great experience, as I've learned a lot and made contacts that will help me continue to pursue this unusual craft. And now...looking ahead! A screening of 'The Lost World' (1925) will take place on Thursday, March 20 at 6:30 p.m. at the Flying Monkey Moviehouse and Performance Center in Plymouth, N.H. Tickets are $10 and hoping for a good crowd to be on hand for this grandpappy of all dinosaur movies. I've been so busy that I haven't had a chance to get out a press release on this one, which is a shame, because I think it has a natural audience, given the enduring popularity of our prehistoric friends. Still, hope to see you there! Now, on to Cinefest in Syracuse, N.Y. The Wilton Town Hall Theatre occupies the second floor of the old town hall in downtown Wilton, N.H. 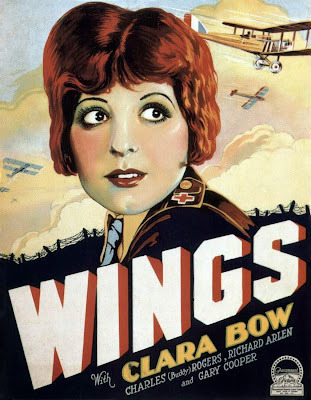 I'm pleased to report that yesterday's screening of 'Wings' (1927) at the Wilton (N.H.) Town Hall Theatre raised more than $3,000 towards the facility's conversion to digital for first-run movies. I want to thank the generosity of silent film fans who turned out for this $20-per-ticket event, many of whom made additional donations to the theater yesterday. The Wilton Town Hall Theatre is one of the great things about living in our part of the world. It's also where I got my start accompanying silent films live in front of an audience, and I still consider it my "home base" with the monthly screenings I continue to do there. So I was really pleased to see such a great response to this fund-raiser. Many familiar faces, and some new folks as well, and a lot of kind comments after the show. Ironically, we showed 'Wings' in the same theater where '12 Years a Slave' is currently playing. So on Sunday, movie-goers in Wilton had a choice between the very first and the most recent Best Picture. That can't happen very often. That's so much film that they actually bring in no less than three accompanists to handle the music. Pianists are generally given a three-year stint, and this time marks my third (and final) year in the rotation. I love going there, but I'll be honest: for me, it's a fairly challenging event because I'm playing alongside the likes of Phil Carli, Jon Mirsalis, Andrew Simpson, and other terrific accompanists with long-established national reputations. This year, my co-conspirators at the keyboard are Makia Matusmura and Judy Rosenberg, both fantastic accompanists that I'm looking forward to meeting and hearing. And I understsand Ben Model and Jon Mirsalis will be coming in for some things as well, too. Another challenge is mastering the considerable difference between an acoustic piano (such as that used at Cinefest) and the Korg digital synthesizer I often use in my own shows. Though the keyboard itself might look the same, each requires a whole different style of playing. Well, I do work at it, but there's only so far that work (and any natural talent) can get you. And in recent months, I've become increasingly comfortable with a sense that my own strength as an accompanist lies not in flying all over the keyboard, but with keeping things small and in control, and using that to maximize an audience's experience of the film. Use the tools you have. I may never be Vladimir Horowitz, but I do have a definite sense of drama and a good feel of how music can augment many different types of cinematic story-telling. (Comedy, yes, is still the toughest to pull off effectively.) I may not have the ability to rattle off, say, a Chopin polonaise at will. But I'm not likely to go off on a showy tangent when accompanying a film. All I seem to be able to do is organic film music that's not intended to be anything else. And Phil Carli himself, one of the most impressive keyboard players I've ever witnessed, has said that one of the cardinal sins of accompaniment is "overplaying," or trying to play beyond one's ability. It's a tendency I notice in myself, because I do get carried away by a film, and also with trying to do what other accompanists sometimes do. It's a basic human motivation: peer pressure. Hey, I want to be like them! And this feeds a cycle where I tend to push too hard too soon, which sometimes can lead to overplaying, which is when things are most likely to fall apart. Worse, it give me nowhere to go when a film really demands it. This has happened several times at past Cinefests, where the audience of vintage film specialists tends to fuel my desire to make a big impression. I really want this film to work, dammit! With me, that often results in less-than-optimal accompaniment. I've had some good moments at Cinefest, too. But they seem to happen mostly when I'm able to keep the music from spinning out of control and stay within my range. Strangely, it seems that the longer I can maintain this control during a picture, the more my confidence grows, and so I actually am able to make the most of the big moments when they come. That's exactly what happened last year with 'The Foundling' (1915), a Mary Pickford feature I played for. I'm now running the risk of overthinking all this, so I'll stop here. Let's just say it's a delicate balance, but I'm starting to understand the contours of how that balance works and how best to manage it so that a film gets the best score I can give it. So this Cinefest, I'm going to make a deliberate effort to just be myself and do what I do best: start slow, don't be afraid to keep things simple, and work hard to rein in things so that big moments have a chance at feeling authentically big. This will require actual courage on my part, as the temptation to "go big" is huge. But more than ever I understand how important it is for me to do the best I can in my own style. And after Cinefest, the schedule lightens up a bit, which is good. That's because I would like to take time to push my scoring technique in directions that, yes, build on my strengths and continue to improve my technique, as much as possible. I get a sense that I'm maybe about a third of the way to the point where I have my own authentic vocabulary for scoring silent films. So there's still a lot of work to do. In the past few years, I've booked a great number of screenings with the idea that what I needed most was experience in front of a live audience. That's been helpful, but I now find I'm often drawing upon the same bank of material rather than creating new stuff, which is where the musical vocabulary truly gets forged. I need to spend more time in the lab, so to speak. So I'm moving into a phase where I hope to prepare more new material for screenings and see how I can push things in that direction. Though it's always exciting to accompany a film live, doing 'Steamboat Bill Jr.' (1928) yet again using the same tunes I've been using for years is beginning to wear a little thin. Something new seems called for. Stay tuned. I'm really excited about doing music for 'Wings' (1927) this weekend at the Wilton Town Hall Theatre. Not only is it a great movie experience, but the screening will also help raise funds for the venerable independent theater's now-mandatory conversion to digital projection for first-run films. Admission is $20 per person, with all proceeds going to the Town Hall Theatre's impending digital conversion. In terms of finances, the conversion cost is expected to total upwards of $150,000. Theater owner Dennis Markaverich has raised about $20,000 so far from donations, but still has a long way to go before the conversion is a slam dunk. So what better way to celebrate this theater and help raise funds to keep it open in the future. Hope we get a packed house on Sunday! 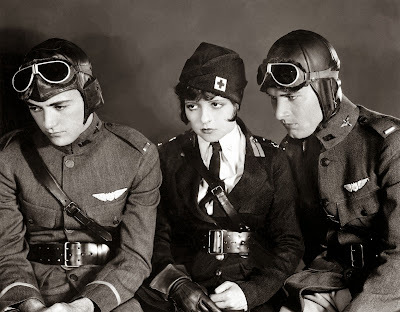 Buddy Rogers, Clara Bow, and Richard Arlen in 'Wings' (1927), screening with live music on Sunday, March 9 at 4:30 p.m. at the Wilton (N.H.) Town Hall Theatre. WILTON, N.H.—A benefit screening of the epic silent film 'Wings' (1927) will take place this weekend as a fund-raiser to support the Wilton Town Hall Theatre's ongoing conversion to digital projection. 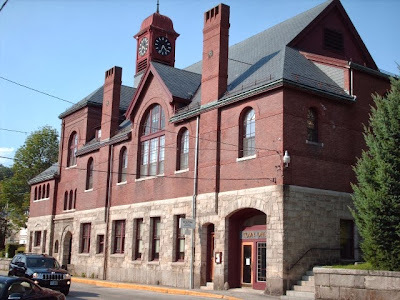 The screening, with live music by Jeff Rapsis, will be on Sunday, March 9 at 4:30 p.m. at the Wilton Town Hall Theatre, 40 Main St. in Wilton, N.H.
Tickets for this special event are $20 per person, with all proceeds going to support the Town Hall Theatre's necessary conversion to digital projection. The Town Hall Theatre, where movies have been shown since 1912, is in the process of converting to digital projection due to Hollywood's recent elimination of 35mm prints for first-run pictures. The Theatre has currently raised about $18,000 for the effort, and longtime owner Dennis Markaverich plans to go ahead with converting at least one of the theater's two screens to digital in the near future. However, the total needed to complete the conversion totals about $150,000. Efforts will continue to raise funds in the coming months to keep the theater's two screens open and operating. Studios provided financial incentives for large multiplexes to convert to digital, but smaller independent venues such as the Wilton Town Hall Theatre must resort to community fund-raising or risk closing their doors. Donations can be made to "Town Hall Theatre Digital Conversion Fund" at TD Bank, P.O. Box 150, Wilton, N.H. 03086. Regular fund-raising updates can be found on the Wilton Town Hall Theatre's Facebook page. The screening of 'Wings' (1927) on Sunday, March 9 will give movie fans a chance to experience the first Best Picture on the big screen and with live music, all while supporting the Town Hall Theatre's digital conversion fund. "It's a great way to follow the Academy Awards the weekend before," said Markaverich, who has run the Town Hall Theatre since 1973. "We hope our many fans will see this as a great way to celebrate the art of the motion picture and at the same time support our necessary conversion to digital projection for first-run films." The theater, with its unique ambiance and commitment to top-quality presentation, was named last year by Yankee Magaine as the Best Movie Theater in New England. The screening of 'Wings' will feature live accompaniment by Jeff Rapsis, a New Hampshire-based composer who specializes in creating live music for silent film presentations. 'Wings' stars Clara Bow, Charles 'Buddy' Rogers, and Richard Arlen. The film also marked one of the first screen appearances of Gary Cooper, who plays a supporting role. Directed by William Wellman, 'Wings' was lauded by critics for its gripping story, superb photography, and technical innovations.
" 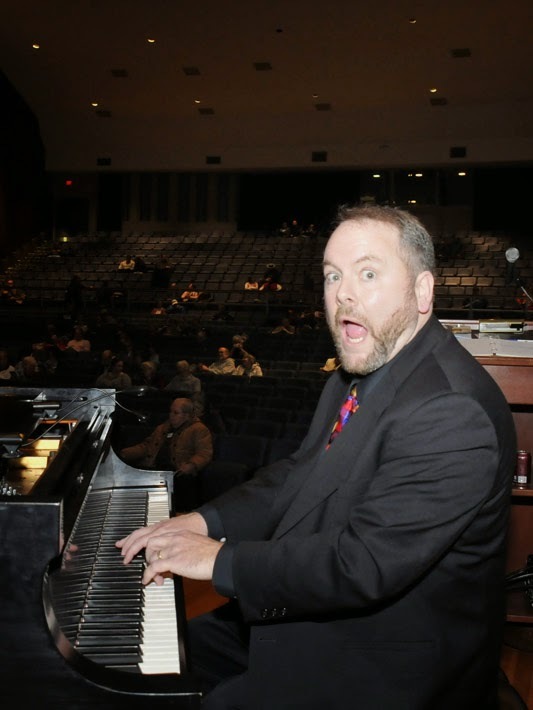 'Wings' is not only a terrific movie, but seeing it on the big screen is a great chance for everyone to appreciate what our servicemen and women endured in World War I," accompanist Jeff Rapsis said. "It's a war that has faded somewhat from our collective consciousness, but it defined life in the United States for a big chunk of the 20th century. This film captures how World War I affected the nation, and also shows in detail what it was like to serve one's country a century ago." 'Wings' is notable as one of the first Hollywood films to take audiences right into the trenches and vividly depict battlefield action. Aviation buffs will also enjoy 'Wings' as the film is loaded with scenes of vintage aircraft from the early days of flight. Rapsis, a New Hampshire composer who specializes in film music, will create a score for 'Wings' on the spot, making up the music as the movie unfolds to enhance the action on the screen as well respond to audience reactions. He will perform the music on a digital synthesizer, which is capable of producing a wide range of theatre organ and orchestral textures. 'Wings' will be screened on Sunday, March 9 at 4:30 p.m. at the Wilton Town Hall Theatre, 40 Main St., Wilton, N.H. Admission for this special benefit screening is $20 per person, with all proceeds going to the Wilton Town Hall Theatre's digital conversion fund. For more info on the music, visit www.jeffrapsis.com. George O'Brien and Margaret Livingston get to know one another in 'Sunrise' (1927). I've often said it: there's no better film for Valentine's Day than one in which a husband contemplates killing his wife and running off with another woman. Alas, our Valentine's Day screening of F.W. Murnau's 'Sunrise' (1927), considered by some to be the finest silent film of all, was postponed last month by a snowstorm. But you can't kill romance, and so the show got rescheduled to Thursday, March 6. Bring your sweetie down to Flying Monkey Moviehouse and Performance Center and take in a flick that's sure to warm you up at least a little, even as the cold weather overstays its welcome in these parts. Here's the press release with all the details. See you at the theater! 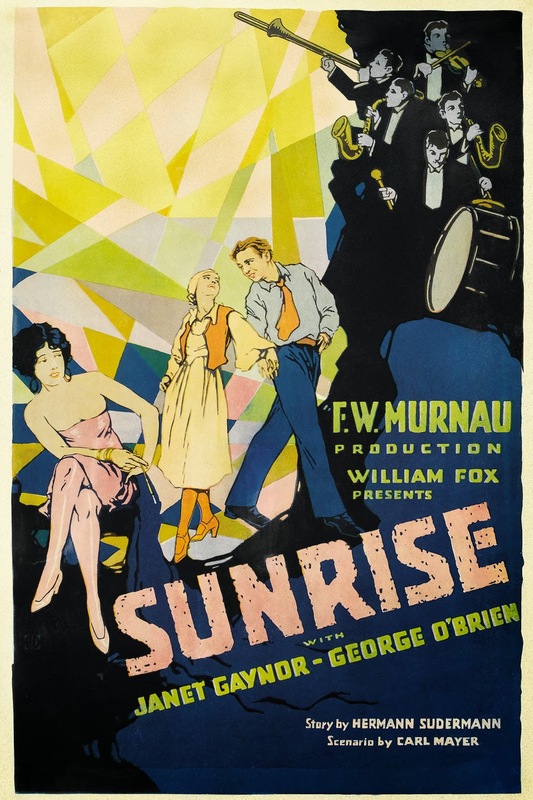 PLYMOUTH, N.H.—Silent film on the big screen with live music returns to the Flying Monkey Moviehouse and Performance Center with the Academy Award-winning romantic drama 'Sunrise' (1927) on Thursday, March 6 at 6:30 p.m. Admission is $10 per person. The event, previously scheduled for Valentine's Day, was moved to Thursday, March 6 due to inclement weather. "It's a great way to follow the annual Academy Awards, which take place the Sunday before," said Rapsis, who creates live original scores for the Flying Monkey's monthly silent film series. "If you've never experienced silent film with live music in a theater, this is a good opportunity to check it out." • Thursday, March 20, 6:30 p.m.: 'The Lost World' (1925). Long before 'Jurassic Park,' Hollywood discovered the power of dinosaurs on-screen in this ground-breaking adaptation of Sir Arthur Conan Doyle's bizarre tale of prehistoric creatures found living in remote South America. • Thursday, April 10, 6:30 p.m.: 'Our Hospitality' (1923). Buster Keaton's classic comedy/drama about a long-running family feud in Appalachia of the 1830s. Filled with great gags and a timeless story that culminates in a dramatic river rescue where Buster almost lost his life for real! 'Sunrise' will be shown on Thursday, March 6 at 6:30 p.m. at the Flying Monkey Moviehouse and Performance Center, 39 South Main St., Plymouth, N.H. Admission is $10 per person. For more information, visit www.flyingmonkeynh.com or call (603) 536-2551. For more information about the music, visit www.jeffrapsis.com. Bill Shaffer tends to finishing touches on stage at Washburn University's White Concert Hall. I'm on the way home from the 2014 Kansas Silent Film Festival, which was a wonderful time as always! But I think the time has come for a name update. Consider: Arrival on Thursday in Topeka is usually celebrated by a visit that night to the Blind Tiger Brew Pub, followed by lunch the next day at Bobo's, a legendary local drive-in. Then comes the pre-show pasta buffet at the White Concert Hall, and then after the show it's the all-you-can-eat Indian banquet served at the Best Western hotel. And that's just on Friday! But the Kansas folks wouldn't have it any other way. My joke this year was in suggesting to festival director Bill Shaffer that things ought to be slimmed down, he thought I meant they should run more 8mm instead of 16mm. Har! Or it could be renamed the Kansas Silent Film and SLEET AND SNOW Festival, as winter weather has disrupted the schedule in recent years. And last year was almost wiped out entirely when the Mont Alto Motion Picture Orchestra got stranded in mid-Kansas by a blizzard, forcing them to turn back. (As it was, my flight was cancelled, but I made it there on Friday in time for the evening's program. And THIS year, the prospect of snow on Saturday night and Sunday prompted the Mont Alto members to hit the road by mid-day Saturday, causing the film program to be readjusted to allow them to skeedaddle. 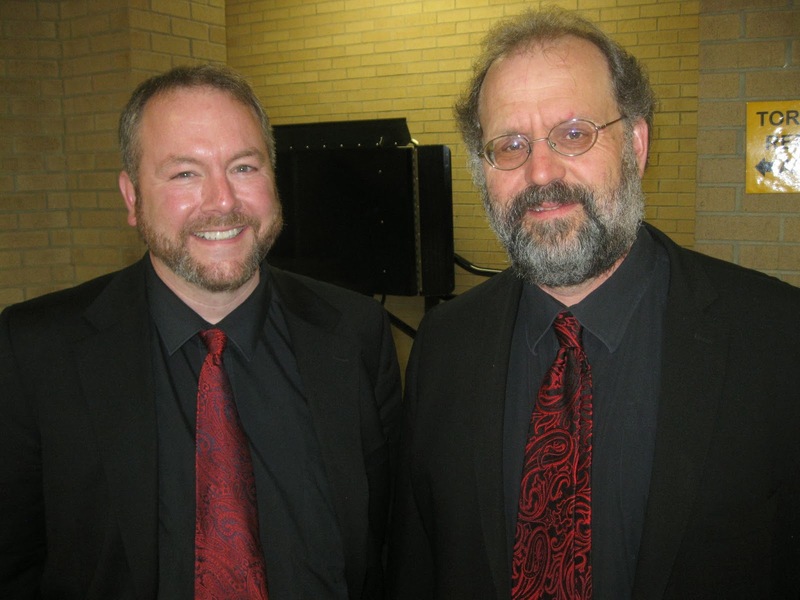 Me with Rodney Sauer at this year's festival, wearing pretty much the same outfit. This situation prompted another wisecrack at last night's festival dinner: "Because they changed my flight, we can now add Sunday to the Kansas Silent Film Festival. Marvin, if you do 'Wings,' I'll agree to do 'Ben Hur.' And we can all go outside and reenact scenes from 'Nanook of the North.' 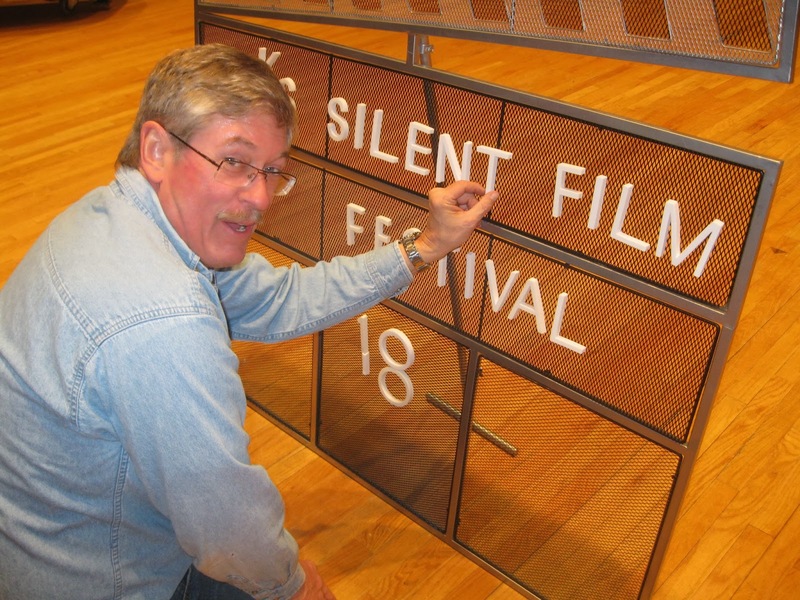 "
"Marvin" is Marvin Faulwell, a talented organist and accompanist from Kansas City, and the musical mainstay of the Kansas Silent Film Festival since it started in 1996. He's a retired dentist who serves as the festival's music director, and I accompany films out there with his blessing, for which I'm grateful. And why was I speaking at the Kansas Silent Film Festival's annual cinema dinner? I was there to introduce (and accompany) a screening of 'Their First Misunderstanding' (1911) the recently rediscovered Mary Pickford one-reeler that was found in 2006 in a barn in New Hampshire, of all places. 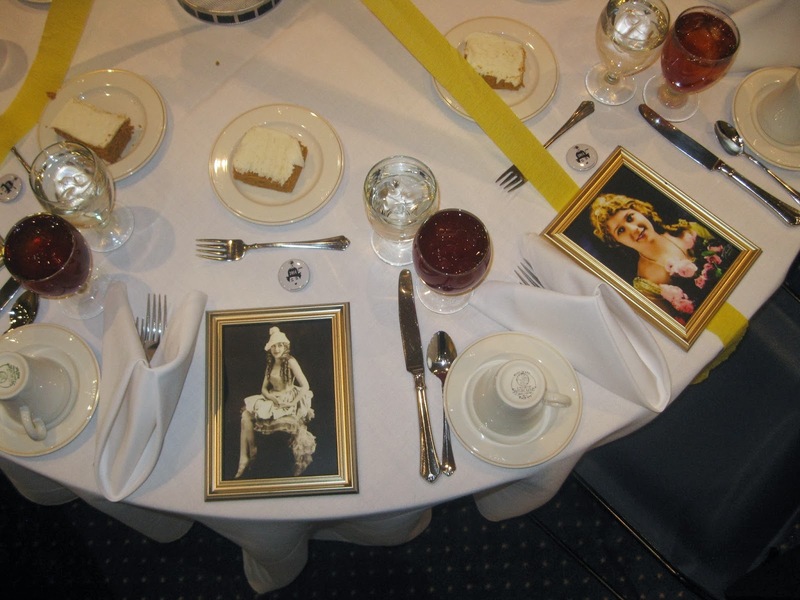 The tables are set with Mary Pickford memorabilia. This was a great honor, but also prompted me to wonder aloud about how my presence at the podium was evidence they must be running out of important vintage film people to invite. The Pickford film was well received and the accompaniment (on a big Steinway grand) went relatively smoothly, I thought. Not so, alas, for most of the other films I tackled for this year's festival. For some reason, I had a hard time getting comfortable at the piano (another beautiful Steinway) on the White Concert Hall stage, and so felt I was often all over the place. Specifically, I was hoping to take a simpler approach and not try to play beyond my ability, something that master accompanist Phil Carli has warned about. I tend to do that because of sheer adrenaline, I think—sit down at the keyboard and there's a film playing, and I just get carried away, trying to do too much too soon. 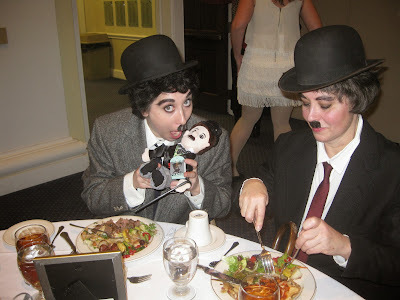 A pair of Chaplin look-a-likes at the cinema dinner, one of whom apparently boasts an all-consuming interest. Reining in this habit is especially important in advance of Cinefest later this month, as I'll be playing alongside some great accompanists, and it's important that I do the best job I can with the abilities I have, rather than the abilities I wish I had. And that requires discipline, and it really went out the window pretty much all at once the first time I sat down to play, which was for Friday night's "surprise" film, 'A Canine Sherlock Holmes' an early British short that's been making the rounds after being recovered from an archive in the Netherlands by archivist David Shepard. This film got a huge reaction, and several attendees later singled it out as a festival highlight. Any film in which a dog pretends to be injured to gain access into a house to search for clues is bound to be a winner. On the other hand, the one feature I did, 'The Devil Horse' (1926) starring Rex the Wonder Horse, was relatively successful, I thought. And in case you haven't had enough of this navel-gazing already, here's what goes through the mind of a silent film accompanist. First, one plus was that because it was a feature-length film, I had time to get into "accompaniment mode" and develop a few different ideas, something that's hard for me to do with short subjects. Also, 'The Devil Horse' is almost non-stop action, so my tendency to push too hard too soon wasn't such a drawback this time. And then the subject matter fit my style of keyboard playing. Scraps of melody and repeated notes and modal chord changes work well when a film is filled with horses running and "injuns" dancing and so on. Afterwards, I told people afterwards that my goal was to explore the limits of the piano as a percussion instrument. A special treat for me was working with Bob Keckeisen, head percussionist for the Topeka Symphony Orchestra and frequent collaborator with Marvin Faulwell in local silent film screenings. Bob doing percussion was an impromptu happening made possible by a last-minute schedule change that saw 'Devil Horse' swapped from morning to afternoon, enabling Bob to join in after fulfilling a teaching gig. Me with Bob Keckeisen at this year's cinema dinner. Rehearse together? Heck, we didn't even have a chance to discuss the film before we went up onto opposite ends of the stage! But sometimes that lack of advance coordination leads to a wonderful spontaneity in a performance, and I definitely felt that as Bob and I launched into the film. I hope we get a chance to collaborate again! 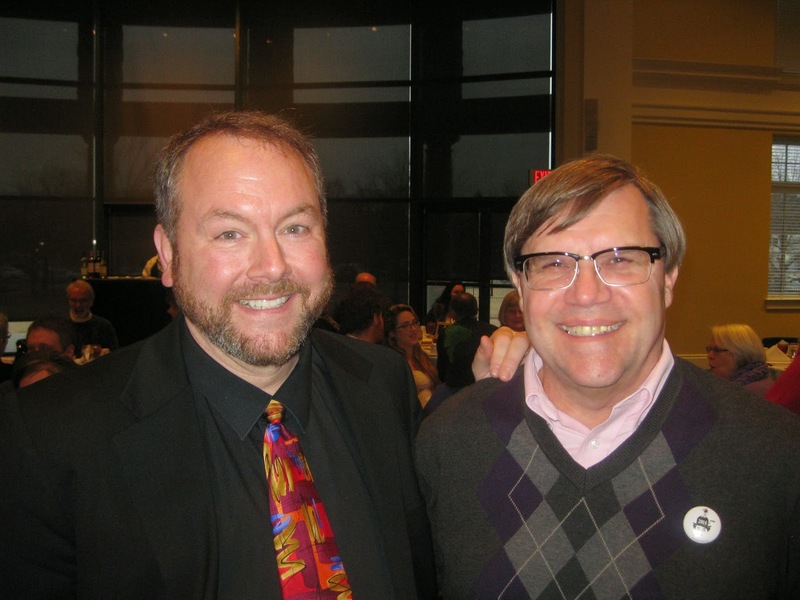 One nice surprise was seeing pianist Greg Foreman and his wife Melodie on Saturday. Greg has contributed some spectacular scores on piano and organ to the festival, but has suffered some medical issues that prevented him from joining in on stage this time around. I do hope he has a quick and full recovery. The same goes for Phil Figgs, the festival's volunteer coordinator and also a pianist for some of the films. Phil wasn't able to make it to this year's edition, but hope to see him next time! Chaplin's 'Modern Times' (1936) is full of references to his early comedies, including this gleeful tribute to 'Behind the Screen' (1916). In terms of accompaniment, one of my take-aways came from the festival's final film, Chaplin's 'Modern Times' (1936), which has a recorded soundtrack created by Chaplin himself at the time of the film's release. 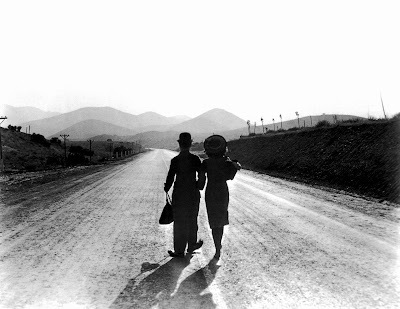 The film offers a rare chance to hear what music Chaplin had in mind for his movies: not just 'Modern Times,' but conceivably all of them, generally speaking. And unlike scores he put together much later in life for silent reissues, 'Modern Times' (and also 'City Lights' from 1931) show what he would have regarded as ideal at the time those films were actually released. Though I've seen 'Modern Times' many times, I paid attention to the music this time, and found Chaplin's method of scoring is quite varied. In 'Modern Times,' it includes passages that are used mostly to set a tempo—the skittering strings for Paulette Goddard's character come to mind, or the repetitive and frantic factory music for the assembly line scenes, which eventually erupts into a kind of light classical frenzy worthy of Offenbach or von Suppe. There is also a lot of straight dramatic music, which I think works to help establish the serious nature of the story and hence provide a launching pad for the comedy. The dissonant opening fanfare keeps returning as a device to indicate transition or even fate, and there's also an anthem-like melody that I think helps keep the political nature of the story from being overshadowed by all the memorable gag sequences. And then there's the one big tune, later issued as the stand-alone song 'Smile,' that shows up (without any lyrics) at key moments. This seems to me another way Chaplin was trying to keep some amount of pathos present in the film, using music to cue us that these characters and the situations they're in are real people with real feelings. And yes, there's a lot of "funny" music that helps enrich the comedy when Chaplin felt it added to the whole, I think. The marching music in the prison scenes comes to mind. Visually, it's so grim and the stakes are so high that a goofy little 6/8 quickstep helps keep it all together. The climax of this kind of music is Chaplin's on-screen rendition of "Je cherche après Titine," with nonsense lyrics, near the film's end. Also, here is a good amount of what accompanists call "Mickey Mousing," meaning music that closely mimics the actions of a character on screen. Interesting, especially as there are some film folks who frown severely on this practice, but here it is, part of the master comedian's toolkit when he was at the height of his creative powers. 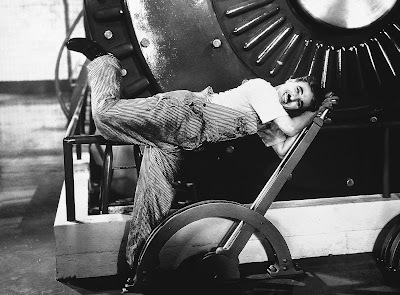 Chaplin does not do it gratuitously, or out of a lack of inspiration. He only uses it, I think, when it helps contribute to bringing out a joke or gag. The point here is that for 'Modern Times,' Chaplin created a range of musical material of different types and characters, and then used it in any way that helped a scene or a sequence be more effective. There's no "one size fits all" philosophy of scoring here: it's whatever works to move the film or the story or the drama or the comedy in the direction Chaplin seeks at any given time. It's a real grab-bag guided mostly, it seems, but Chaplin's intuition and master showmanship. Chaplin and Paulette Goddard hit the road at the end of 'Modern Times,' taking silent film with them. At some point I'd like to look into this even deeper, as music is such an important part of silent film, and Chaplin himself is so important to the art form. A presentation I was hoping to develop to explore this didn't make the cut for a Chaplin convention later this year, but I'll keep working on it as opportunities arise. For now, I credit the Kansas Silent Film Festival for helping push it along just a little bit further. One more reason to keep going, so mark your calendars. The next one is Friday and Saturday, Feb. 27 & 28, 2015. See you there in just...363 days!